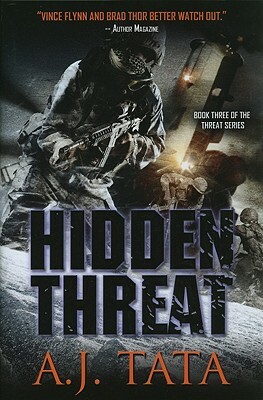 When Special Forces Colonel Zachary Garrett leads a team of commandos into an enemy base-camp inside forbidden Pakistan territory, the ensuing combat destroys his helicopter and all its occupants. After military officers notify his estranged daughter, 17-year-old Amanda Garrett, of her father's death, she is apathetic until they mention a $500,000 life insurance payout. But there's a catch: before she can collect her cash, Amanda must visit revered psychiatrist Riley Dwyer for counseling. With his eyes on Amanda's coming bonanza, Spartanburg, South Carolina bad-boy Del Dangurs keeps close tabs on Amanda and the long hoped-for windfall. Meanwhile, Matt Garrett, Amanda's uncle, leaves his CIA post and arrives in Afghanistan to recover Zachary's remains. But first he leads a daring vengeance raid into Pakistan that results in a clue to Zachary's fate. With hopeful evidence in hand, Matt continues the search for his brother as physical reminders of him are being destroyed or attacked back home, including Riley, who holds her own secrets close. The story alternates between thrilling combat scenes in Afghanistan and Pakistan as Matt pursues his brother's fate and attempts to complete a politically sensitive mission while Amanda races to uncover the truth about her father.